Art Deco Diamond ring in white gold. Product code: 879 Categories: Sold Items, Sold Rings. 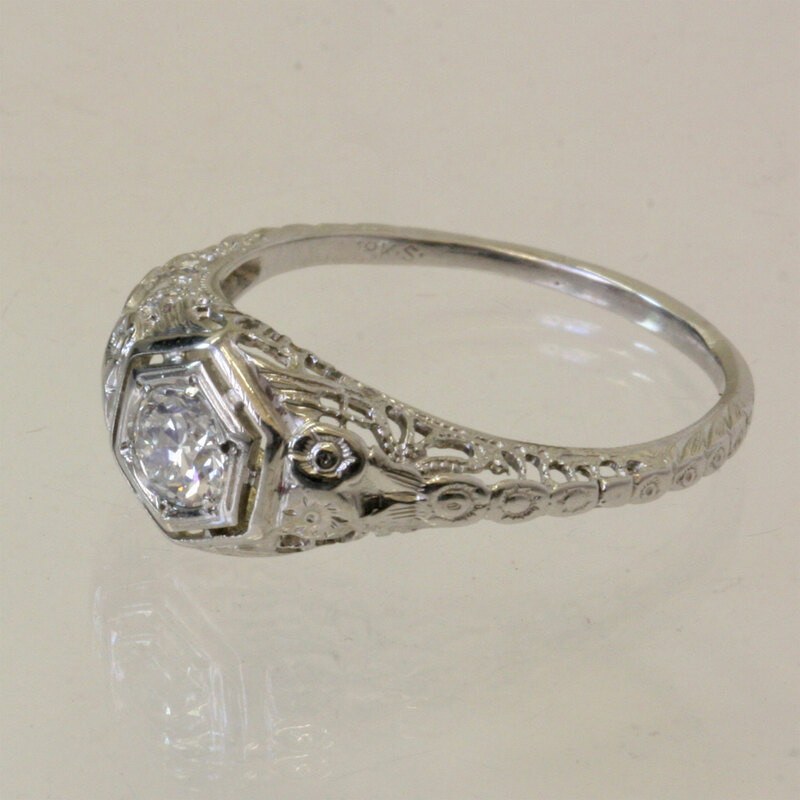 This is a very beautiful Art Deco diamond ring that would be perfect for an engagement ring. Made in the 1920’s, it is made in 18ct white gold in a wonderful geometric design so typical of the Art Deco era. Set with a 0.39ct brilliant cut diamond that is F colour and VS clarity meaning it is a very nice diamond to admire.